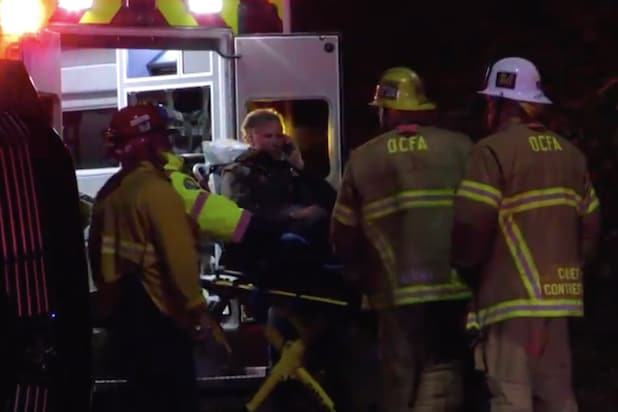 Will Ferrell was hospitalized and then later released after an SUV he was riding in flipped during a two-car collision on Thursday night, Deadline and TMZ reported. The accident happened on the I-5 freeway in Orange County, California, at about 11 p.m. The actor and two other riders were rushed to a hospital. Ferrell was being driven back from a “Funny or Die” comedy event in San Diego when his chauffeur-driven SUV was side-swiped by another car, according to TMZ. Representatives for Ferrell did not immediately respond to TheWrap’s request for comment. But his manager told Deadline he has been released from the hospital and that the accident was caused by another driver who fell asleep at the wheel. The extent of the injuries Ferrell suffered are not known. The former “SNL” star was seen on his cell phone as he was entering an ambulance.